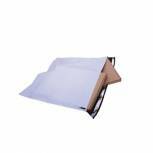 Q-Connect C4 Envelopes Board Back Peel and Seal 115gsm Manilla (Pack of 125) KF3521 Pack of 1 Q-Connect Board Back Envelopes. Manufactured from strong durable 115gsm manilla with a peel and seal flap and Please Do Not Bend printed on the front. C4 324 x 229mm. 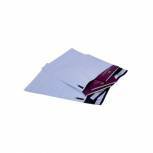 GoSecure Envelopes 460x430mm Extra Strong Polythene Opaque (Pack of 100) PB28282 Pack of 1 GoSecure extra strong and lightweight and waterproof polythene envelopes. Suitable for heavier items. A special white panel accepts any endorsement. Peel and seal closure. Opaque. Size DX 460 x 430mm. 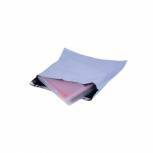 GoSecure C3 Envelope 335x430mm Extra Strong Polythene Opaque (Pack of 100) PB32324 Pack of 1 GoSecure extra strong and lightweight and waterproof polythene envelopes. Suitable for heavier items. A special white panel accepts any endorsement. Opaque. Peel and seal closure. Size C3 335 x 430mm. 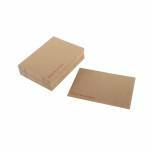 Q-Connect C3 Envelope 458x324mm Board Back Peel and Seal 115gsm Manilla (Pack of 50) KF01409 Pack of 1 Board back envelopes. Protects contents from folding or creasing. Printed PLEASE DO NOT BEND for added protection. Peel and seal. C3 457 x 324mm. 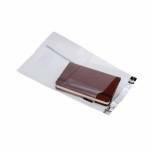 GoSecure Envelopes 595x430mm Extra Strong Polythene Opaque (Pack of 100) PB29100 Pack of 1 GoSecure extra strong and lightweight and waterproof polythene envelopes. Suitable for heavier items. A special white panel accepts any endorsement. Peel and seal closure. Opaque. Size 595 x 430mm. 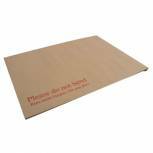 Q-Connect Envelope 238x163mm Board Back Peel and Seal 115gsm Manilla (Pack of 125) KF3518 Pack of 1 Q-Connect Board Back Envelopes. Manufactured from strong durable 115gsm manilla with a peel and seal flap and Please Do Not Bend printed on the front. 238mmx163mm. Q-Connect Envelope 318x267mm Board Back Peel and Seal 115gsm Manilla (Pack of 125) 1K06 Pack of 1 Q-Connect Board Back Envelopes. Manufactured from strong durable 115gsm manilla with a peel and seal flap and Please Do Not Bend printed on the front. 318mmx267mm. 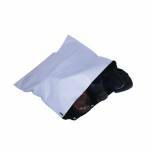 GoSecure Envelope 440x320mm Extra Strong Polythene Opaque (Pack of 100) PB26262 Pack of 1 GoSecure extra strong and lightweight and waterproof polythene envelopes. Suitable for heavier items. A special white panel accepts any endorsement. Peel and seal closure. Opaque. Size DX 440 x 320mm. 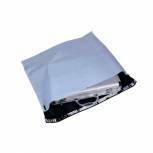 GoSecure Envelope 430x400mm Extra Strong Polythene Opaque (Pack of 100) PB27272 Pack of 1 GoSecure extra strong and lightweight and waterproof polythene envelopes. Suitable for heavier items. A special white panel accepts any endorsement. Peel and seal closure. Opaque. Size DX 430 x 400mm. 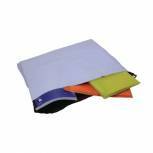 GoSecure Envelopes 460x430mm Extra Strong Polythene Opaque (Pack of 10) PB28474 Pack of 1 GoSecure extra strong and lightweight and waterproof polythene envelopes. Suitable for heavier items. A special white panel accepts any endorsement. Peel and seal closure. Opaque. Size DX 460 x 430mm. 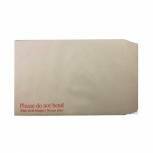 Tyvek B4A Envelope 330x250mm Pocket Peel and Seal White (Pack of 100) 556524 Pack of 1 Tyvek Pocket Envelopes. Water and tear resistant. Size - B4A 330 x 250mm. 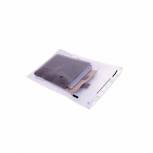 GoSecure Envelope 235x310mm Lightweight Polythene Clear (Pack of 100) KSV-LC2 Pack of 1 GoSecure Lightweight Polythene Envelope. 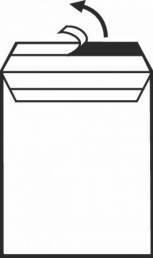 Clear polythene mailing envelopes ideal for brochures and catalogues. Exceptionally lightweight - saves on postage costs. Peel & Seal closure. 100 percent recyclable. 235 x 310mm. 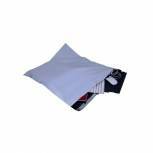 Strong Polythene Mailing Bag 460x430mm Opaque (Pack of 100) HF20213 Pack of 1 Polythene Envelopes. Lightweight and economical. Easy to write on surface. Peel and seal closure. Tear and puncture resistant. Manufactured in the UK. 100 percent recyclable. 460 x 430mm. 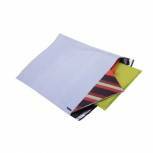 GoSecure Envelope 600x700mm Extra Strong Polythene Opaque (Pack of 50) PB22239 Pack of 1 GoSecure extra strong and lightweight and waterproof polythene envelopes. Suitable for heavier items. A special white panel accepts any endorsement. Peel and seal closure. Opaque. Size 600 x 700mm. New Guardian Envelope Gusset Peel and Seal 350x248x25mm 130gsm Manilla (Pack of 100) M29066 Pack of 1 New Guardian gusset envelopes. 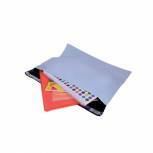 Extra strong envelopes with peel and seal closure and expanding 25mm block bottom gusset ideal for mailing out catalogues and other bulky items. Weight - 130gsm. 350 x 248 x 25mm. 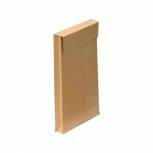 New Guardian Envelope Gusset Peel and Seal 305x250x25mm 130gsm Manilla (Pack of 100) B27166 Pack of 1 New Guardian gusset envelopes. Extra strong envelopes with peel and seal closure and expanding 25mm block bottom gusset ideal for mailing out catalogues and other bulky items. Weight - 130gsm. 305 x 250 x 25mm.